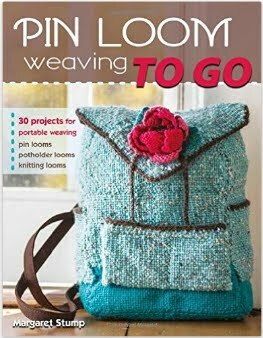 This is a quick shout out to weavers in the Minnesota area. 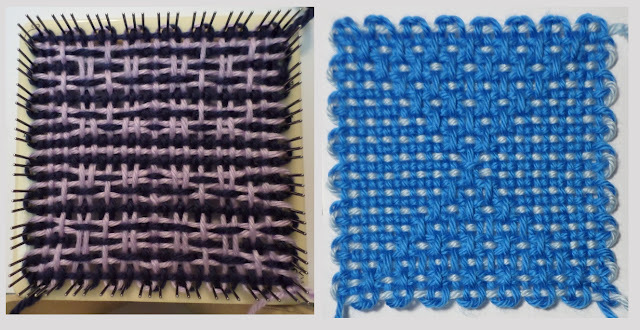 I am going to be doing a day long workshop in Mankato, MN (my home town) moving through the whole pin loom process, from beginning pin loom weaving through making a woven, stuffed dog and weaving and joining a 4"x 4" Pooch Pouch. 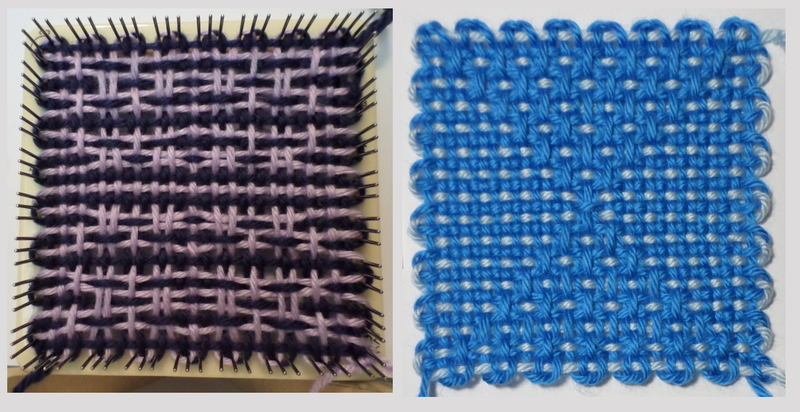 I have several people signed up who are already experienced pin loom weavers. If you have some experience that will give you more time to experiment and complete projects. There is already a request in for making both dogs and cats, which we can do. 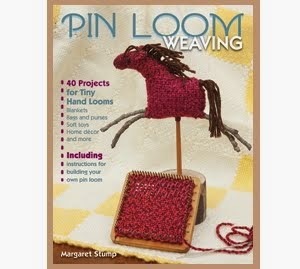 This would be a great opportunity to share your pin loom passion with a friend or family member. 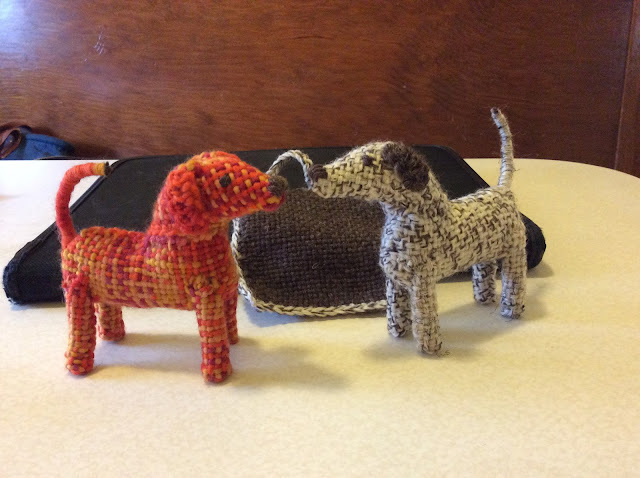 For more information about this workshop, see the Pooch and Pouch information at Mary Lou's Yarn and Ewe website. If you have any questions, feel free to contact me at pinloomweaving at gmail.com. 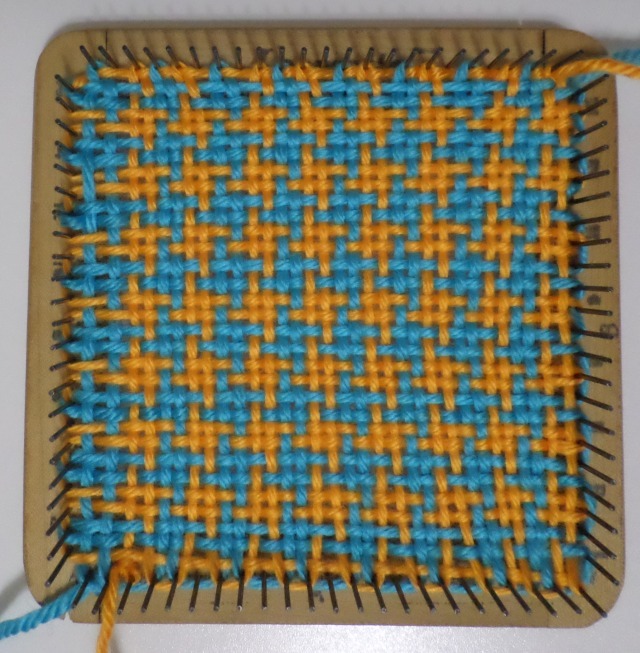 There will be more news coming soon on regional workshops for pin loom weaving as well as information on workshops now scheduled at Convergence, Milwaukee, July 31 through August 6. 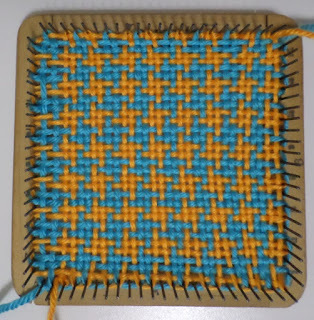 I have run into a number of people, including Calvin from Cairo, who swear by the diagonal weave on the pin loom. If you have not tried it, you can find the original directions below. I have posted them because when I went to find sources for these instructions online I couldn't find any. Diagonal weave instructions were originally included with other beginner instructions with the Weave-it Hand Looms and Loomettes. 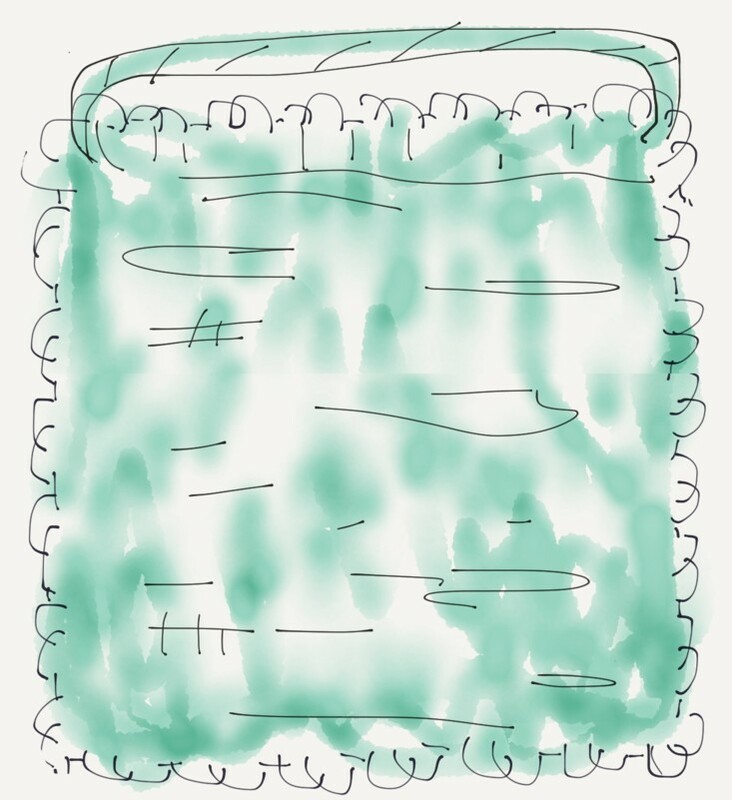 I would also recommend that you take a look at Constance Hall's very clear directions, Weaving Twill on the Zoom Loom, found at Schacht Spindle, the manufacturers of the Zoom Loom. Pin looms may have been an American invention, but they have spread around the world. 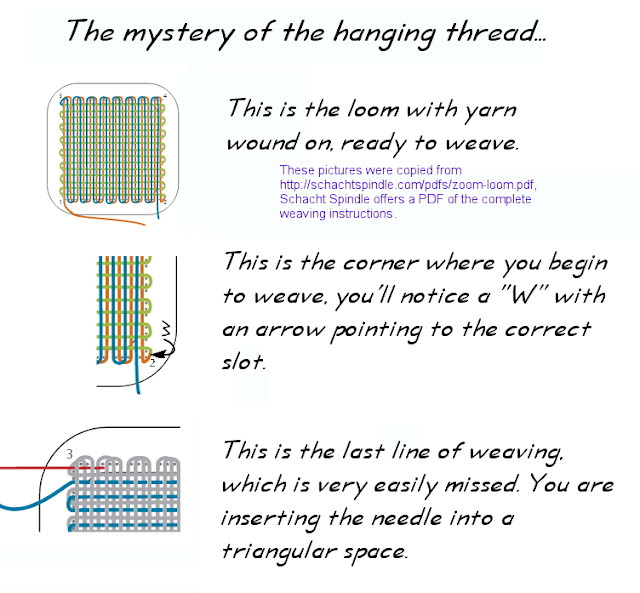 It is so fun to see the numbers of people who check in on www.pinloomweaving.com from the UK, Canada, Ukraine, Netherlands, Australia, Germany, Italy, France, India and lots more. I had an opportunity to correspond with Calvin, a pin loom weaver from Cairo, Egypt. 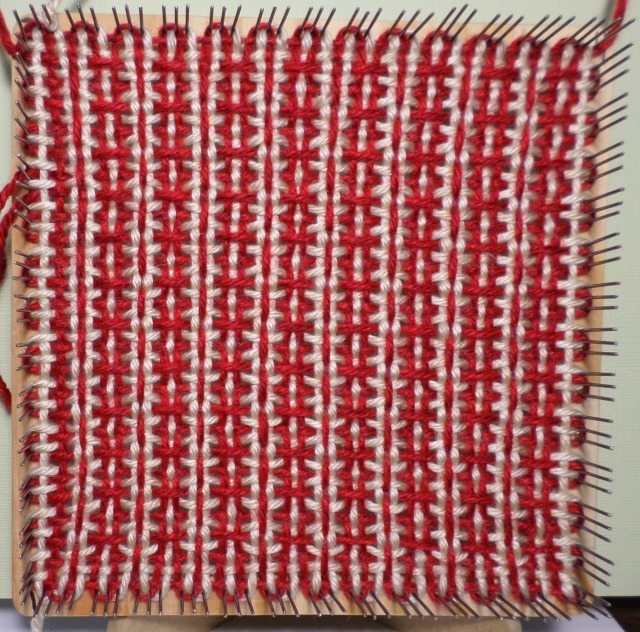 Calvin was kind enough to send along some pictures of his gorgeous weaving. 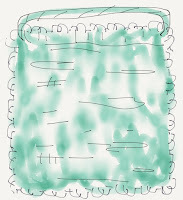 Calvin writes, "I make all kinds of things: scarves, sweaters, hats, etc. And even blankets or Afghans when the mood fits. 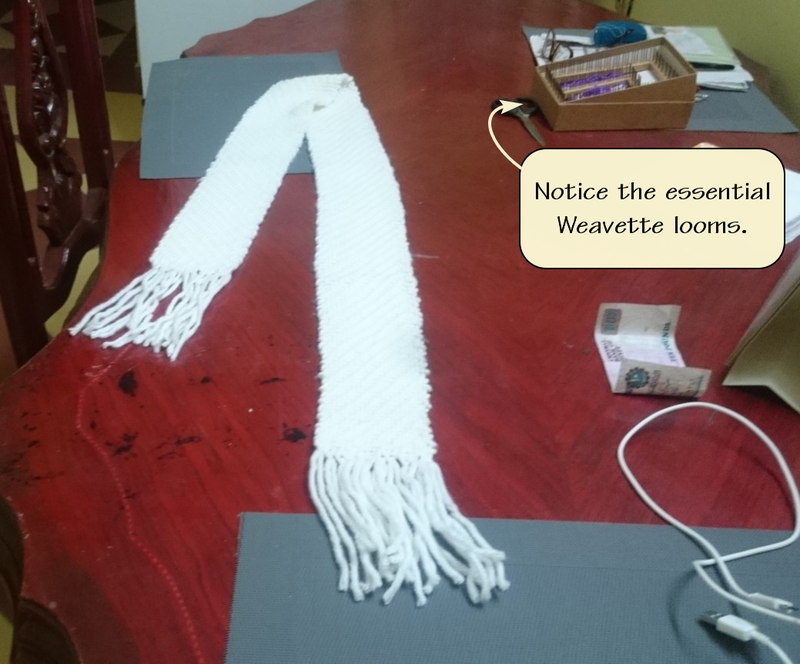 As for the scarf, it looks like something home made and not turned out from a machine which I like. 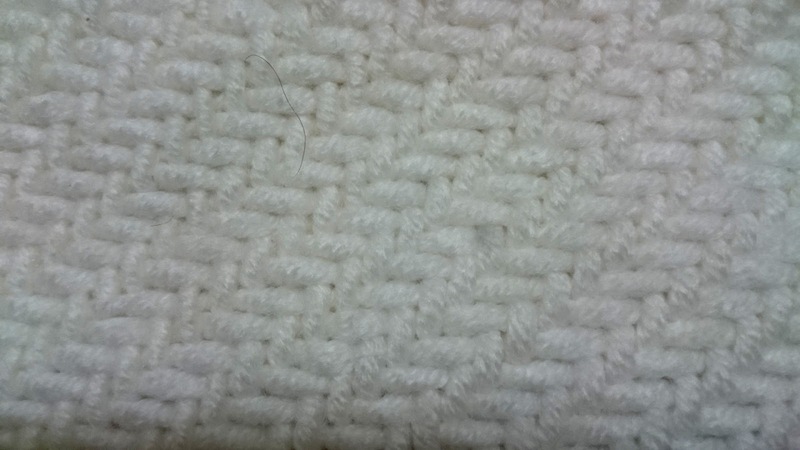 The pattern is diagonal weave which I use exclusively for all items. I picked the diagonal because of the pattern itself and that the finished fabric is softer than all the others." "I have unusual patterns of my own which I use now and then. 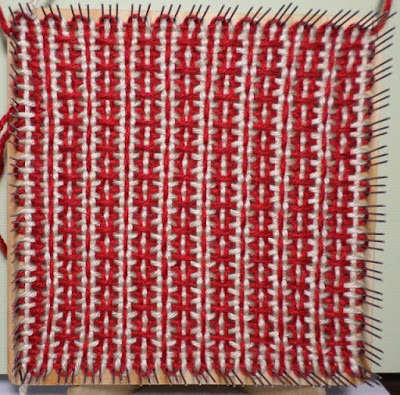 Using two colors makes for an interesting weave: use one color for loading the loom and the other to weave the pattern to finish." I do hope that we can get pictures of more of Calvin's work in the future. Thanks so much for sharing.